5 prizes at the International ARD Music Competition 2016 in Munich - Aris Quartett Homepage! 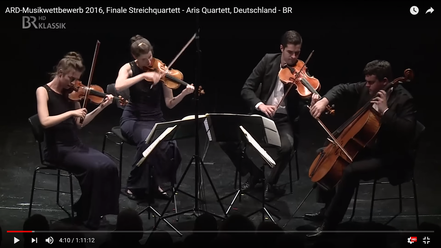 The Aris Quartet just won 5 prizes at the International ARD Music Competition 2016 in Munich. 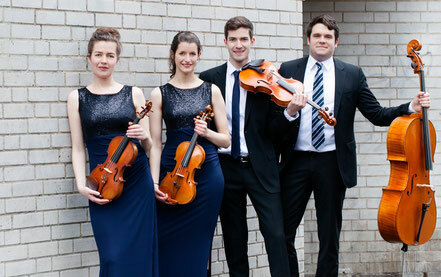 They have been awarded with a second prize as well as the audience prize, the special prize of the french chamber music organisation ProQuartet, the prize of the music label GenuinClassics and the "Osnabrücker Musikpreis".